CANNABIDIOL (CBD), a non-psychoactive component of the marijuana plant, has generated significant interest among scientists and physicians in recent years – but how it exerts its therapeutic impact on a molecular level is still being sorted out. Unlike psychoactive THC, CBD has little binding affinity to either the CB1 or CB2 cannabinoid receptors. Instead, CBD indirectly stimulates endogenous cannabinoid signaling by suppressing the enzyme fatty acid amide hydroxylase (“FAAH”) – the enzyme that breaks down anandamide. Whereas cannabinoid molecules found in cannabis are considered “exogenous ligands” to the cannabinoid (CB) receptor family, anandamide is an “endogenous” cannabinoid ligand – meaning it binds to one or more cannabinoid receptors and is found naturally inside the body. Anandamide favors the CB1 receptor, which in mammals is concentrated in the brain and central nervous system. Because FAAH is responsible for breaking down anandamide, less FAAH remains present in the body for a longer duration. More anandamide means greater CB1 activation. By inhibiting the enzyme that metabolizes and destroys anandamide, CBD enhances the body’s innate protective endocannabinoid response. At the same time, CBD powerfully opposes the action of THC at the CB1 receptor, thereby muting the psychoactive effects of THC. CBD also stimulates the release of 2-AG, another endocannabinoid that activates both CB1 and CB2 receptors – CB2 receptors are predominant in the peripheral nervous systems and the immune system. Whereas CBD does not bind to either of the two known cannabinoid receptors with particular affinity, it has been shown to directly interact with other, so called “G-protein-coupled” receptors to confer its medicinal effect. CBD, for example, binds to the TRPV-1 receptor, which is known to mediate pain perception, inflammation and body temperature. TRPV is the technical abbreviation for “transient receptor potential cation channel subfamily V.” Scientists also refer to it as the “vanilloid receptor,” named after the flavorful vanilla bean. Capsaicin – the pungent compound in hot chili peppers – is a well known activator of the TRVP-1 receptor. Vanilla contains eugenol, an essential oil that has antiseptic and analgesis properties, that also helps to unclog blood vessels. Historically, the vanilla bean has been used as a folk cure for headaches. CBD may exert its anti-anxiety effect by activating the adenosine receptors. Adenosine receptors play significant roles in cardiovascular function, regulating myocardial oxygen consumption and coronary blood flow. The adenosine (A2A) receptor has broad anti-inflammatory effects throughout the body. Jose Alexandre Crippa and his colleagues at the University of San Paulo in Brazil and at King’s College in London have conducted pioneering research into CBD and the neural correlates of anxiety. At high concentrations, CBD directly activates the 5-HT1A (hydroxytryptamine) serotonin receptor, thereby conferring an anti-depressant effect. This receptor is implicated in a range of biological and neurological processes, including but not necessarily limited to, anxiety, addiction, appetite, sleep, pain perception, nausea and vomiting. 5-HT1A is a member of the family of 5-HT receptors, which are activated by the neurotransmitter serotonin. Found in both the central and peripheral nervous systems, 5-HT receptors trigger various intracellular cascades of chemical messages to produce either an exitatory or inhibitory response, depending on the chemical context of the message.  Whereas cannabidiol activates the TRPV-1 vanilloid receptor and 5-HT1A serotonin receptor, some studies indicate that CBD may also function as an antagonist that blocks, or deactivates, another G protein-coupled receptor known as GPR55. GPR55 is widely expressed in the brain, especially in the cerebellum. It is involved in modulating blood pressure and bone density. GPR55 promotes osteoclast cell function, which facilitates bone reabsorption. Overactive GPR55 receptor signaling is associated with osteoporosis. By blocking GPR54 signaling, CBD might act to decrease both bone reabsorption and cancer cell prolifieration. This is one of many molecular pathways through which CBD exerts an anti-cancer effect. Dr. Sean McAllister’s research at the Pacific Medical Center in San Fransisco indicates that CBD reduces breast cancer cell proliferation, invasion and metastasis by inhibiting Id-1 gene expression. Best results were obtained when CBD was administered in combination with THC. Cardiovascular, autoimmune, neurological disorders, cancers, and the aging process itself are all thought to have free radicals as a causative agent. Further, they are implicated in the formation of protein amyloid plaques – plaques that can attack neural synapses and prevent normal chemical and electrical signaling.